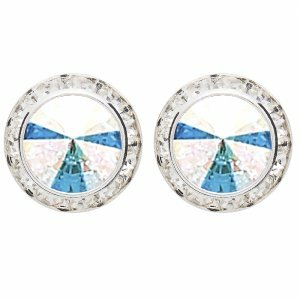 Our performance earrings are made with genuine high quality Swarovski crystals and surgical steel. They are hypoallergenic as well as nickel and lead free.The AB crystal shimmers with a rainbow of color. Choose from post or clip. Also available in classic crystal and a variety of other colors.